ObjectClarity.com - On Linux, programming and the web. Running Citrix from Ubuntu is getting progressively more difficult. This post is an attempt to document a few of the changes that we’ve had to make to keep it usable. ; Copyright 1994-2002, 2006, 2009 Citrix Systems, Inc. All rights reserved. ; Copyright 1994-2006, 2009 Citrix Systems, Inc. All rights reserved. I have a memory card in one of those slideshow picture frames with nearly 20,000 photos. I found that they were somehow read-only due to the file permissions. I read an interesting article about common lighting patterns but the example images were lacking some clarity. I took a copy of the images and added some details that would help me remember each technique. 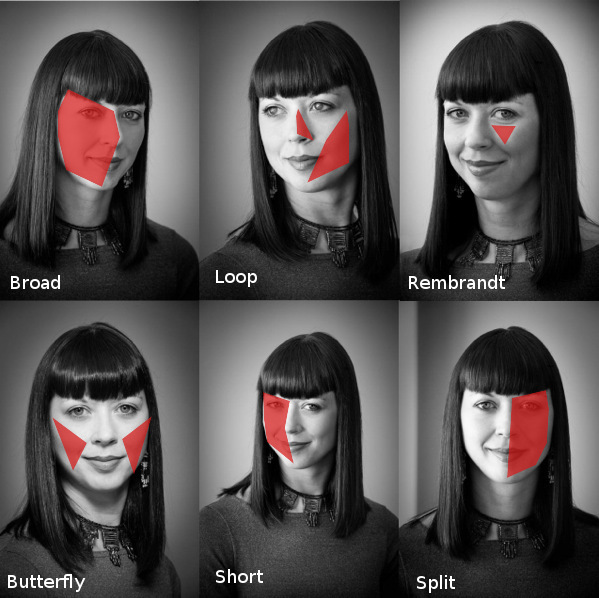 Roll your mouse over the image to see the original without my markups. Let me know if you found this post useful or if I got anything wrong. I took this photo with my cell phone one morning when I turned on my Windows 7 machine. Really? 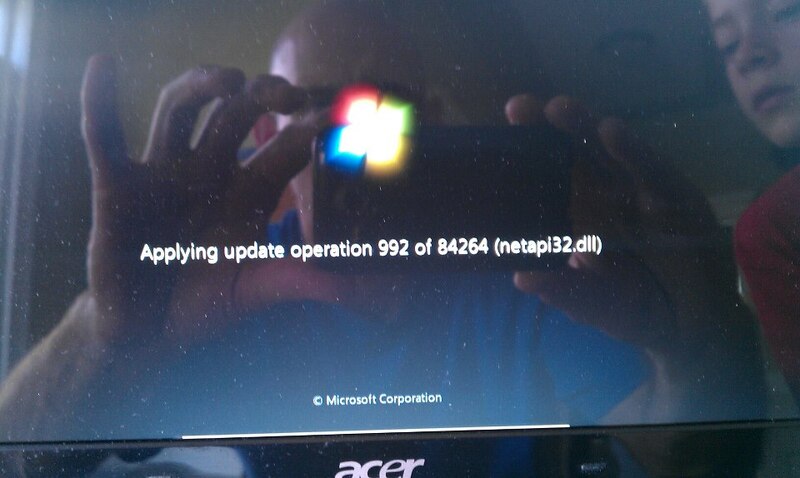 84264 software updates? Why do people put up with crap like this. While doing a large file upload from my Ubuntu laptop, my internet connection was unusable from other machines at my house. I looked at the bandwith monitor on my router and saw that it was solidly uploading at 60KB/second – the upper limit of my home connection. I didn’t want to interrupt the upload already in progress so I installed an app called wondershaper. Now, on the Linux machine doing the upload I was able to limit the network interface upload speed to 20KB/second with the following command. Check the man pages for documentation, but just testing various combinations of numbers and calling the ‘clear’ command in between was good enough for me. I had a large text file (MySql database dump) with many instances of a domain name that I needed to change out for a website that’s being deployed under a new domain name. My first attempts to do a search & replace from a simple text editor failed and eventually crashed the editor. As well, it was not something I could repeat exactly the next time I had to migrate that same database again. The Linux utility ‘sed’ is a streaming editor that would easily handle large files and seemed like a simple solution. I ran it against the file twice, being careful to replace only the domain name as it appeared in URLs, and not where it appeared in any stored email addresses. (-i.bak) creates a backup of the original file. (%) is my delimiter. “/” is the default delimiter but as I’m working with URLs, I don’t have to escape each character and results in a simpler espression. (g) tells sed to replace *all* instances of my regex with the replacement string. Each command ran in about 1 second on a 40Mb file and it did the job perfectly. When displaying sets of records on the web it’s a very common thing to include a checkbox on each row to allow users to select rows for things like, deleting multiple records, moving records from one place to another or whatever your case may be. It’s pretty standard and a nice addition to add a single checkbox in the header to allow users to select all the rows with one click – and then you add pagination and the user experience falls apart. I had a user ask me, “When I click the ‘select all’ checkbox, are all the rows selected, or just the ones on this page?”. Clearly I needed to be a bit more specific. Here’s the solution that was used. I swapped out the header checkbox with the following set of 3 checkboxes and bits of HTML. The above HTML leaves one checkbox in the header and two more in a hidden div. The one that’s visible will be used to indicate some kind of selection, and the other two will be shown and hidden with jQuery to allow two choice options. The first part to be handled is the showing and hiding of the checkboxes. Using a timer, I added a delay to the ‘hide’ function so that it’s less jumpy and moving your mouse outside the element by accident won’t hide it and frustrate my users. While it’s not required, notice that I named my anonymous functions with something that helps clarify their purpose, “enterElement” and “exitElement”. Now that the two selection choices hide and show nicely we have to add code to manage the state of the checkboxes to show selections. When we select “all rows current page”, we need to check the header checkbox and the one on each row. When we select “all rows on all pages”, we need to check the header checkbox and uncheck & disable the one on each row. For completeness I’ve mirrored the “All Records current page” function on the original checkbox but because the behaviour is so slightly different, it gets it’s own click function. Try the demo and leave a comment below if you found it useful or had a suggestion. While working on an ajax UI, I wanted to show that something was happening while preventing the user from interacting with page elements that are getting replaced. I used the .position() function from JQuery UI to place a div directly over the changing content. Looking at the code above, you can see that we’re setting the top left corner of our busy indicator at the top left corner of our changing content. The collision property is used to deal with bumping into the edges of the window and since we’re not showing popup menus etc, we don’t want to do anything special so I left it at ‘none none’. In my particular case I had several elements that were all being loaded with ajax, so I used the JQuery .clone() function to make duplicates of a busy indicator div for each one. I was careful to change the id attribute of each clone to keep them unique and something that I would be able to find easily when it’s time to remove the busy indicator. I’m running Ubuntu 10.04LTS on my desktop at home and while there’s a year left on updates, my Thunderbird was telling me that it’s about to stop receiving security updates. While I typically don’t care about installing all the latest and greatest (as is obvious by my 10.04! ), I don’t want to be using ‘old’ software either. I thought I’d investigate what’s required to update to the latest Thunderbird mail client. We simply have to add the Mozilla repositories and re-install it. Below are the commands required to update your Thunderbird. It took only a couple minutes! What roles do I have? Ever wanted to know what Oracle roles your oracle user has? This simple query will offer up a complete list including the objects and privileges for each as specified in the role.